You would think that after the two PS4 betas and the launch issues experienced with the PS3 version of Final Fantasy XIV, Square Enix and Sony would take extra precautions that the PS4 version of Final Fantasy XIV would be successful. However, once again the game is experiencing issues, with many gamers unable to play the game. In particular, those that purchased the game from the PlayStation Store have issues with activating the game, and having to contact support. In fact, you could spend hours waiting in the support queue just to get the issues resolved. With the PS3 launch, Sony and Square Enix issued refunds to those who were affected, but it’s unclear if the same will happen with the PS4 version. Considering that gamers have to pay a monthly fee to play the game, this level of service is completely unacceptable. 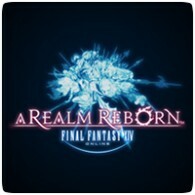 It has come to our attention that some users may be encountering problems accessing FFXIV:ARR after purchasing the game on the Playstation Store. If you are encountering this issue, please contact us via telephone, live chat or email and we shall do our best to look into resolving this for you as quickly as possible. Utter crap. I wanted to play the game on launch day but these issues are preventing me from doing so. And Square Enix isn’t being much help.